It’s been nearly a week since returning from the epic road trip, but i’ve been busy getting back into my music every night this week, so here’s my first chance to catch up on what happened on the last day of the trip. We woke up in Newport and took our time getting going. We had a little look around Newport but i was very disappointed. I thought it would be a tourist town, but it’s not at all. In fact, on a rainy sunday morning it feels like a ghost town. So many shops have closed down, it’s quite shocking! Anyway, so we went over the bridge towards Bristol and Bath, but we didn’t stop at either because we had somewhere more exciting to visit. 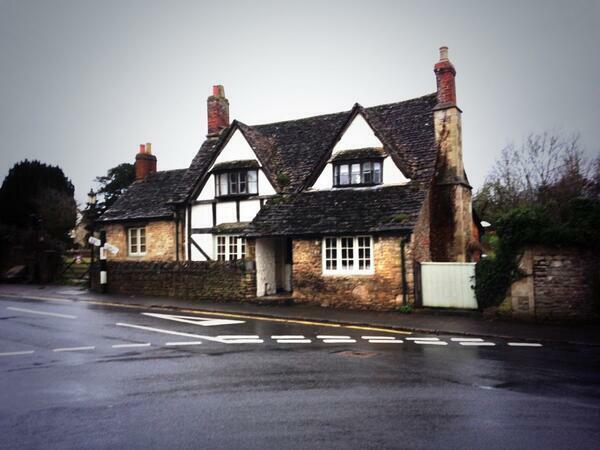 The tiny village of Lacock. 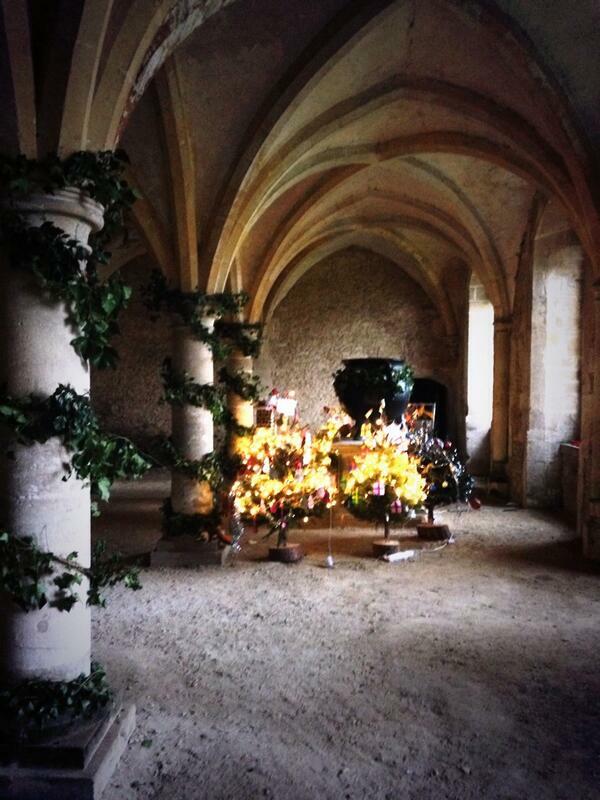 But what we were really there for was Lacock Abbey, for its history of filming for Hogwarts. It is wonderful. 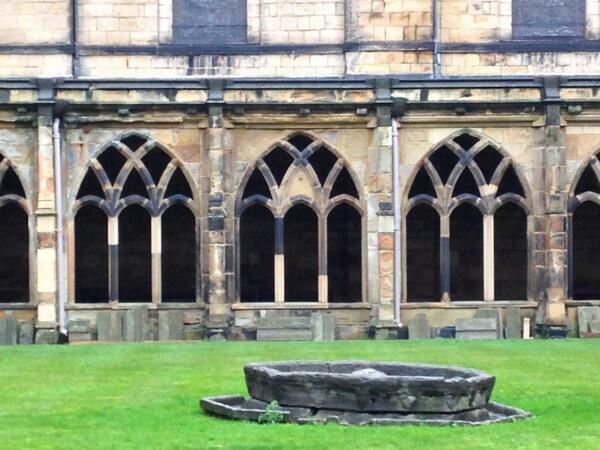 The ceiling in the Chapter House is so distinctive, you just know it’s the Mirror of Erised room the moment you walk in. 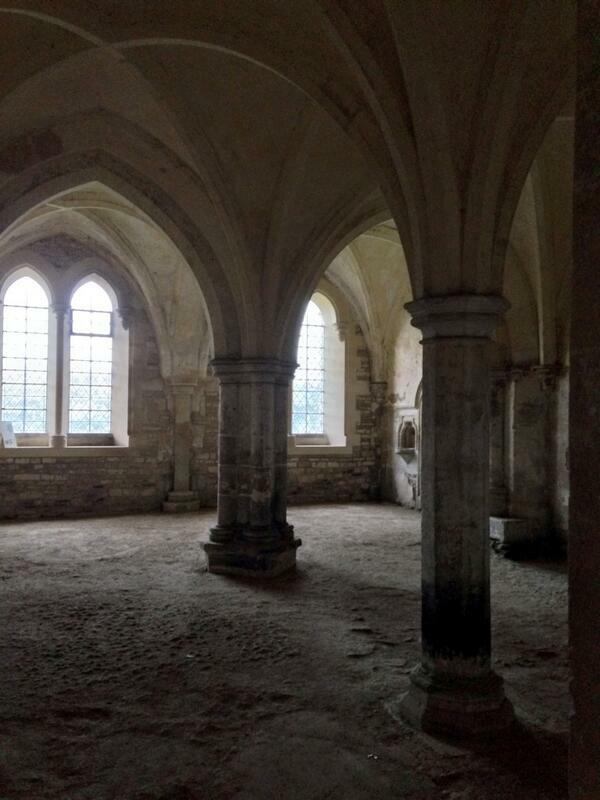 The Sacristy next to it was Snape’s dungeon in the first movie, we think. 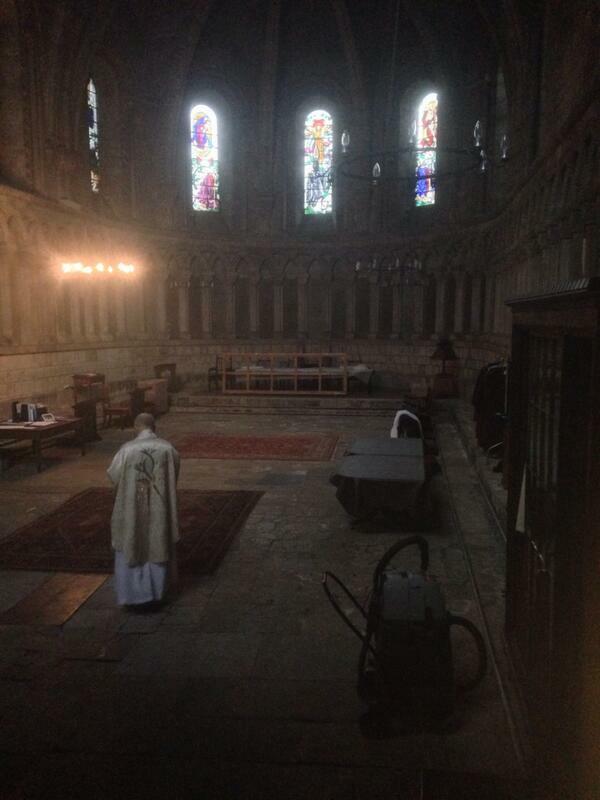 And then you find the Warming Room, which may have been Professor Quirrell’s classroom. They’ve made the most of the association by putting a huge cauldron in the middle of the room! I also saw some pictures up around Lacock Abbey that showed filming at Durham Cathedral, making out as if it was done at Lacock. 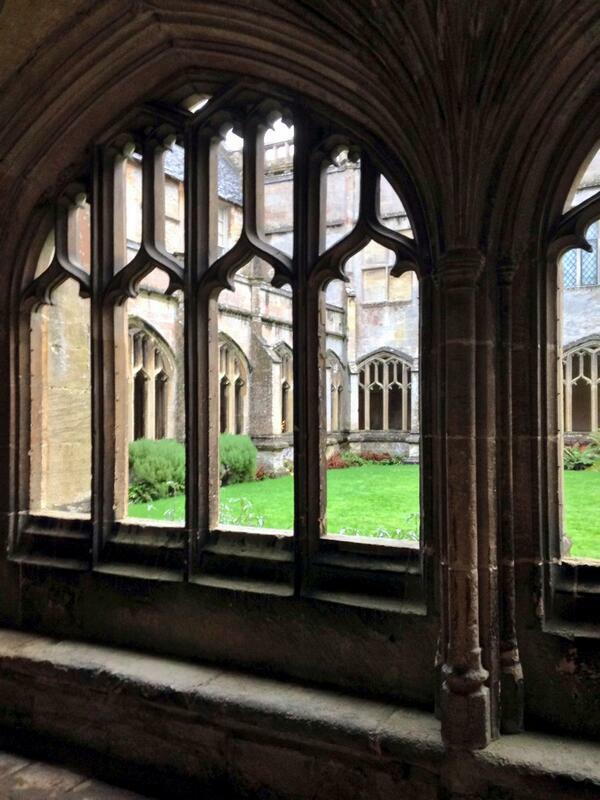 I mean, certainly the cloisters are similar, but the shapes at the top of the windows are different, which is immediately obvious as soon as you compare the photos to what you see in Lacock Abbey! Still, they are very beautiful, and have very much a Hogwarts feel, whether these locations were actually used for the movies or not. On the way out of Lacock, we had a real treat! 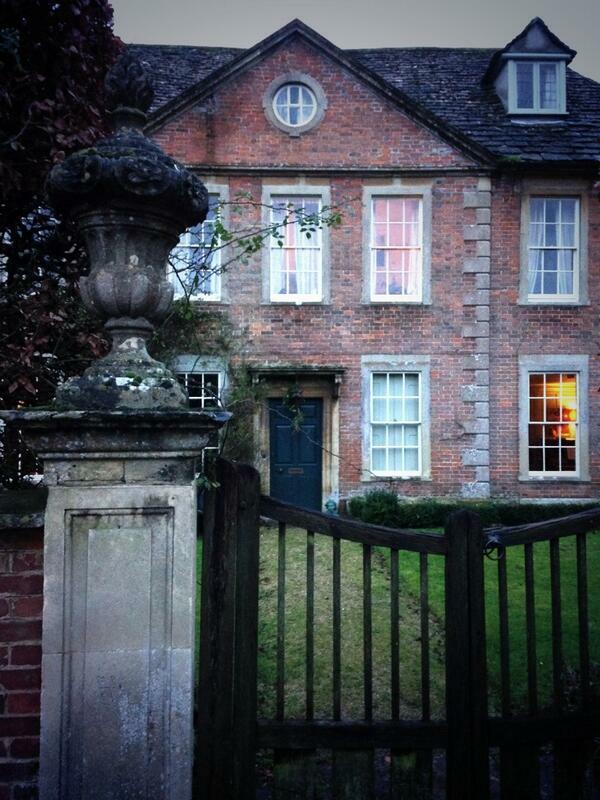 This is the house used by Slughorn that is seen in Half Blood Prince. 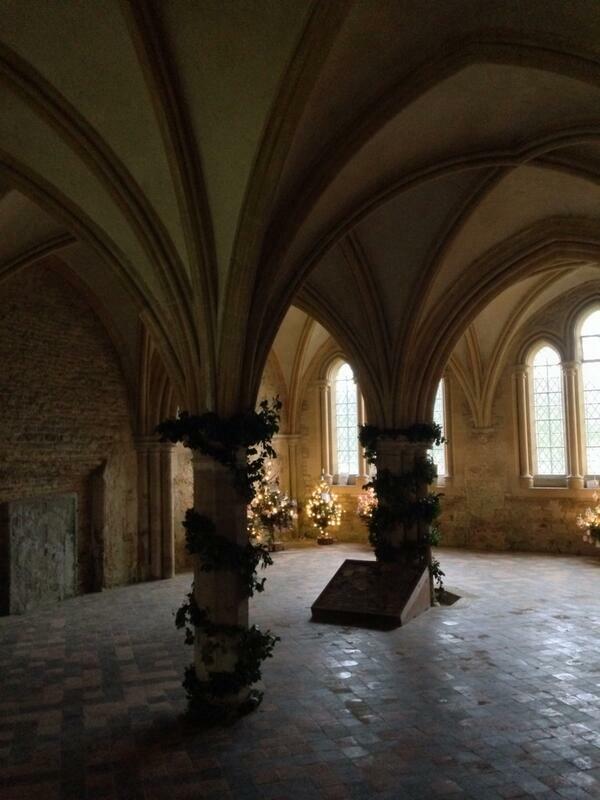 I think it’s quite interesting that they came back to Lacock to film again, even though they didn’t use the Abbey again after the first two films. I guess it got too expensive, or they just preferred to use Leavesden studios. So from there we made our way back to London. I had an amazing time, but i was really happy to come back to streets i recognise, and back to a campsite i know and love. It has been really good to get back into my normal life again. My iPhone shows a nice map of where we went. I think we travelled over 1,400 miles! 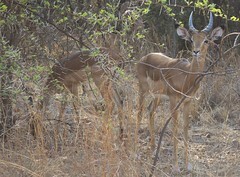 We saw some great sights along the way, and met up with some lovely people! Thanks to everyone who met us and showed us around. It was brilliant. 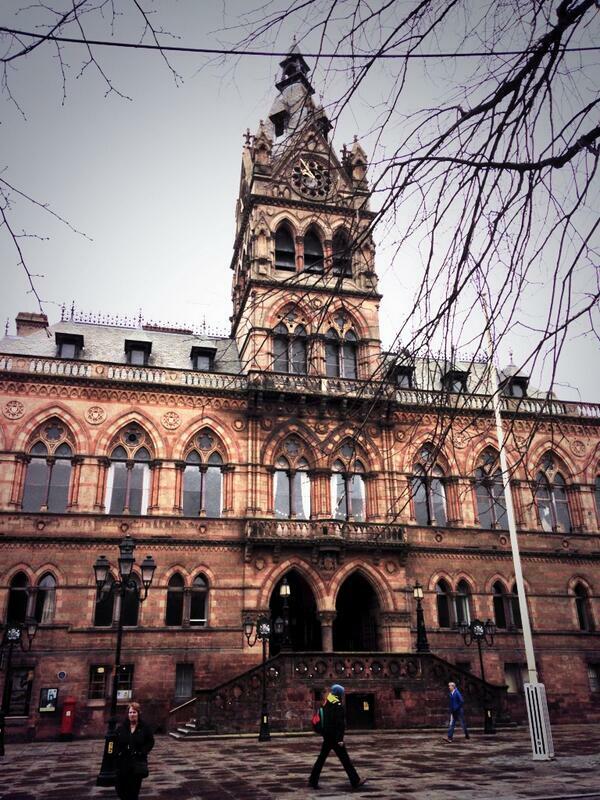 Yesterday morning we were very privileged to have Matt give us a personal guided tour of Chester. 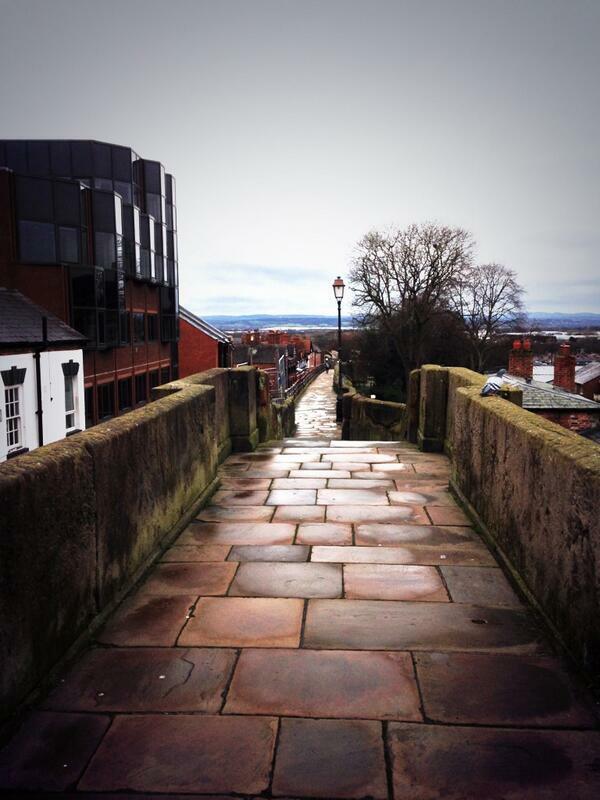 I love the city of Chester, because it feels so old and steeped in history. It might have been intended to be the capital city at one time. Unfortunately, there’s a lot of 60s and 70s buildings right alongside architecture that is hundreds of years old, which makes Matt pretty angry! But the old stuff is lovely! 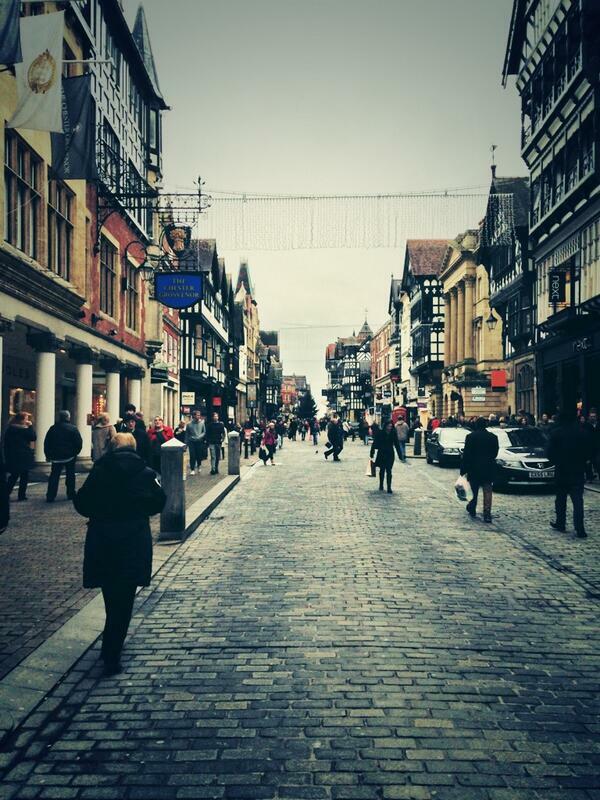 The high street is also lovely, feels so old. 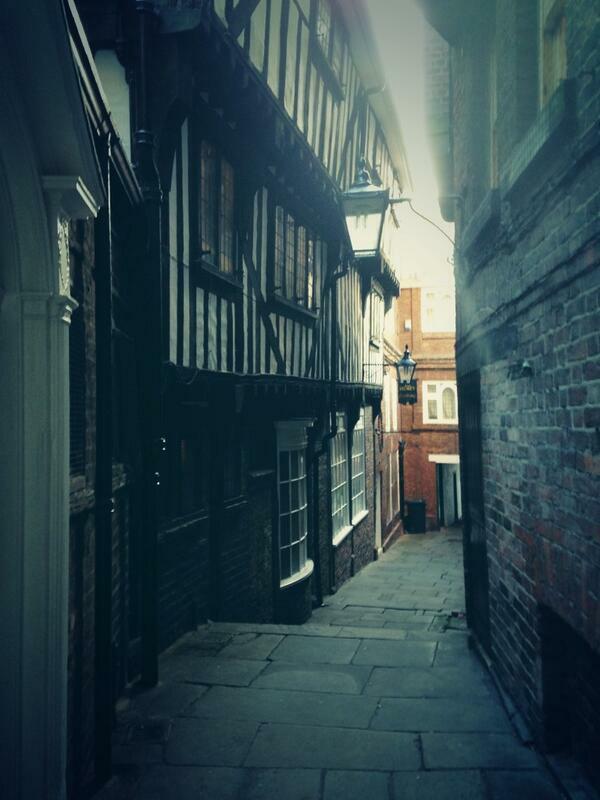 Reminds me quite a lot of Winchester, actually. 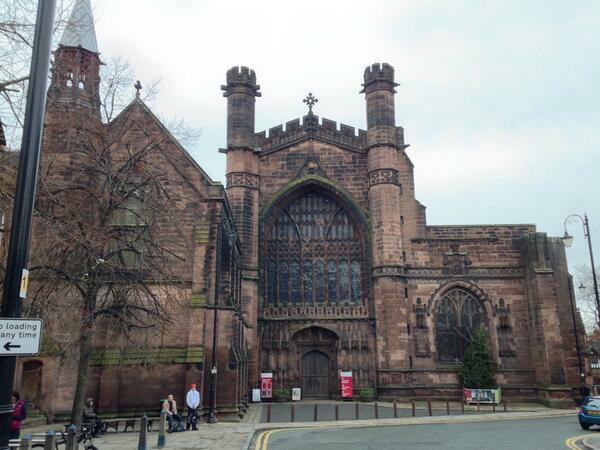 We had a fantastic time in Chester, i’m so glad we were able to include it on our trip, and thanks ever so much to Matt for showing us around. After that we made the long, pretty journey down to South Wales, and had a very good pub crawl around Cardiff for the night, guided by my lovely friend Hannah. 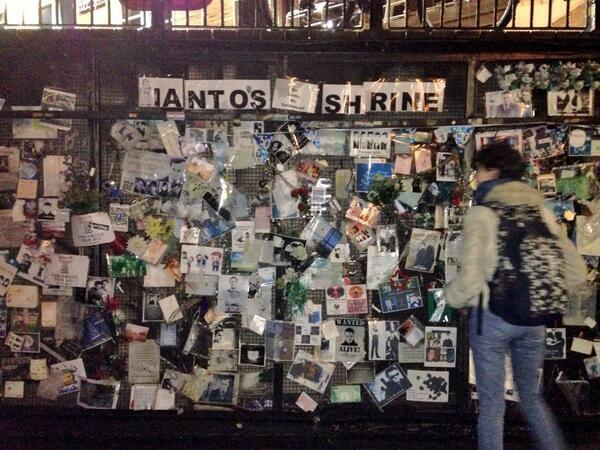 The best thing was finding Ianto’s Shrine in Cardiff Bay! The motorhome road trip was almost over but there was one more very special place to visit. I’ll save that for another blog post! Yay! Today was mostly spent in Liverpool. After a great night out in Manchester last night, we took our time getting up, and then got on our way. Liverpool turned out to be nicer than i expected. I’d been there before and not thought too much of it. Today i found i really liked the architecture, the water, the diversity of alternative culture, the general feeling of inclusivity, particularly how it seemed to embrace gay culture as perfectly normal and just part of the city. 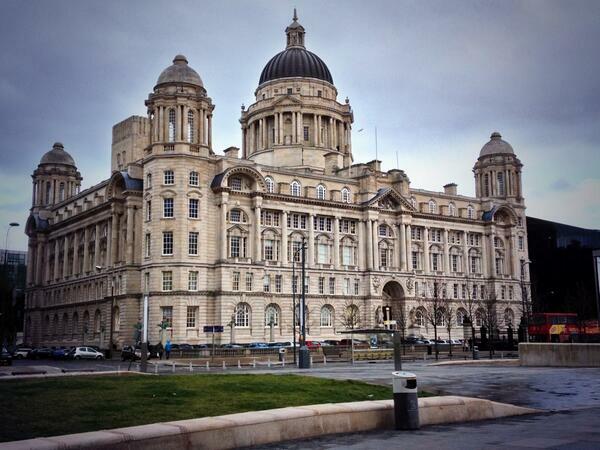 The Port of Liverpool Building is particularly impressive. 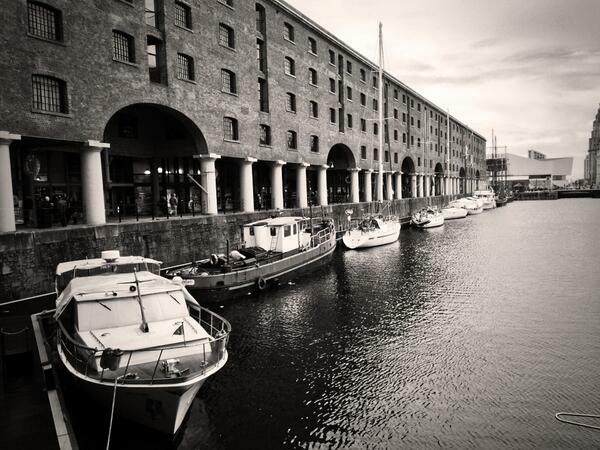 I really liked Albert Dock too. We had a look in the Tate Liverpool there. When exploring cities, we have tended to look for the tattoo and piercing studios. Partly because we like tattoos and piercings, but also because it gets us out of the main shopping areas and into the less mainstream areas. Otherwise i feel like every city is pretty much the same, with the same shops and restaurants and coffee shops. I like to see the unique characteristics of each city. In Liverpool, i particularly liked Gostins Arcade, full of alternative shops and seemed a general hangout place for different sorts of people. It is such a refreshing change from the commercialism of most big cities. 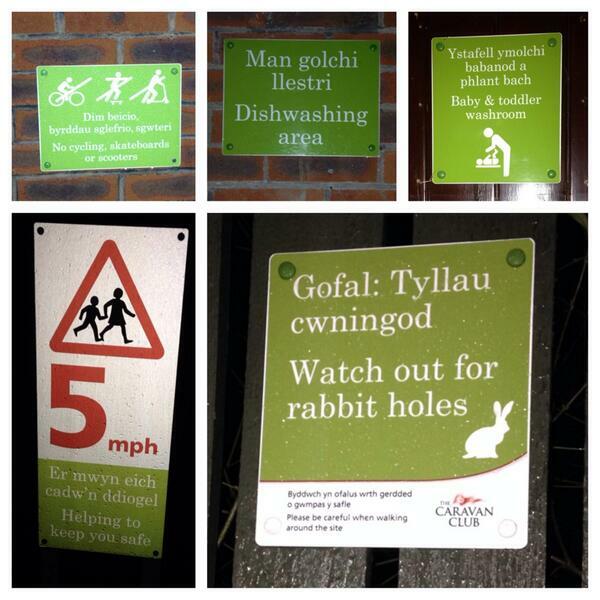 I am delighted to see the Caravan Club fully embracing the bilingual signposting, too! So tonight there is not a lot to do in deepest darkest North Wales, so we’re going to watch a Harry Potter, sleep early, and get up early for more adventures tomorrow! Two days left of our trip! Please follow us on twitter: @sermoa and @findthepilgrim. Use the hashtag #motorhomeroadtrip to keep up with us! Well, we had 3 excellent days in Scotland. 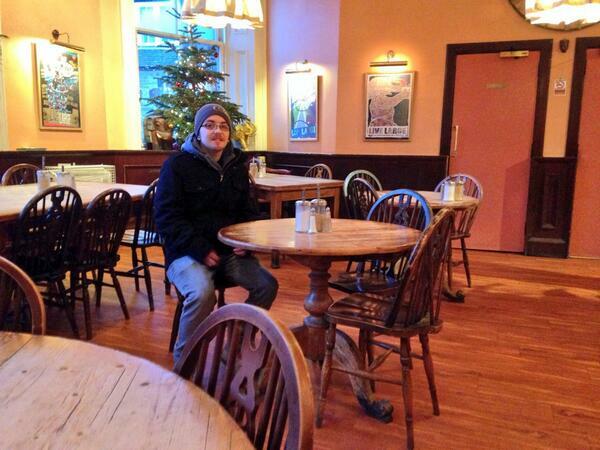 So Liam went to sit at the same spot! 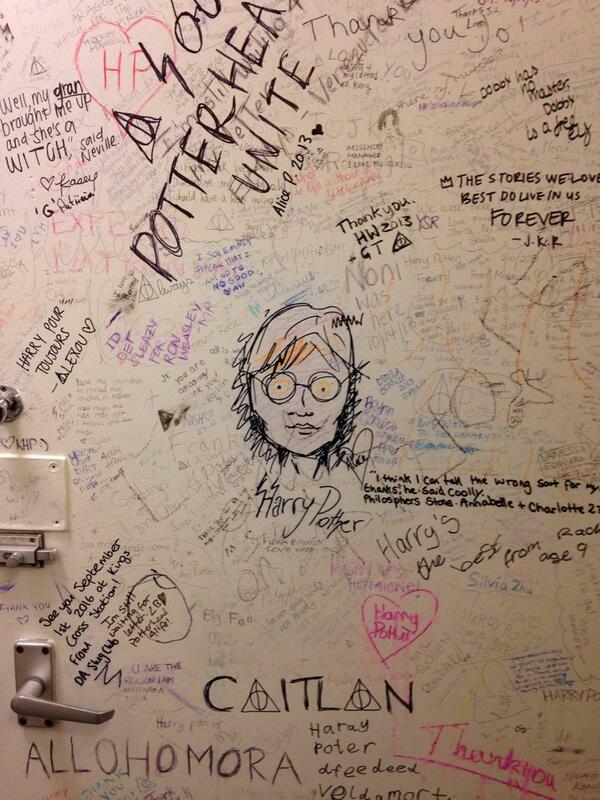 The toilets of that cafe are COVERED with Harry Potter related graffiti. Quotes from the books, people’s favourite moments, messages of gratitude to Jo. 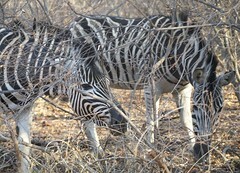 It was lovely to see! New year’s eve celebrations in Edinburgh were excellent fun, and the fireworks were fantastic; we saw them from the South Bridge. New year’s day we drove to Strathclyde, and then it was pretty much a day of recovery. We lay in bed and watched movies for most of the afternoon, and watched the new Sherlock episode! Yesterday morning we went into Glasgow. I had really no idea what to expect from Glasgow, but i found it felt quite like Southampton. 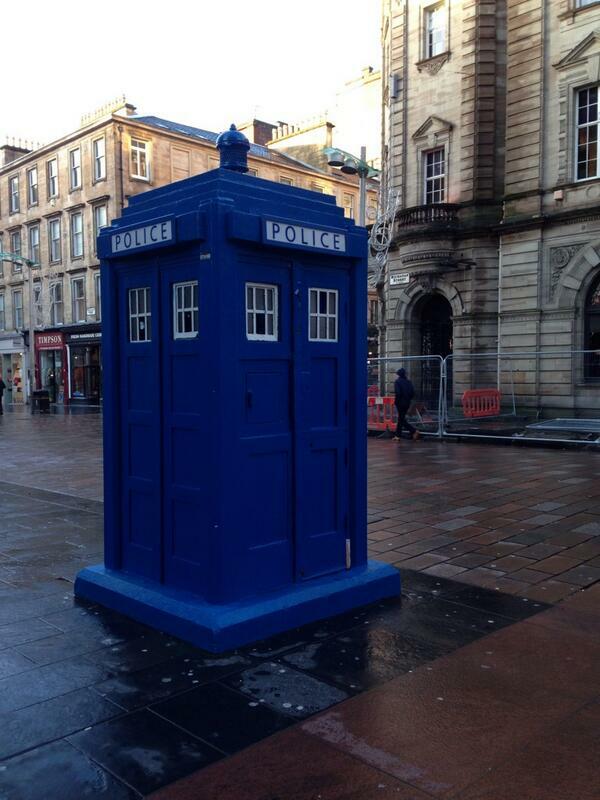 We were delighted to find a real police box in the high street! 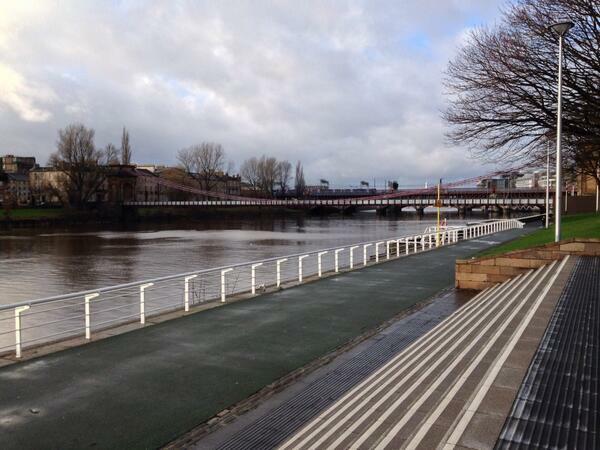 Glasgow is pretty industrial, but the river Clyde is nice. 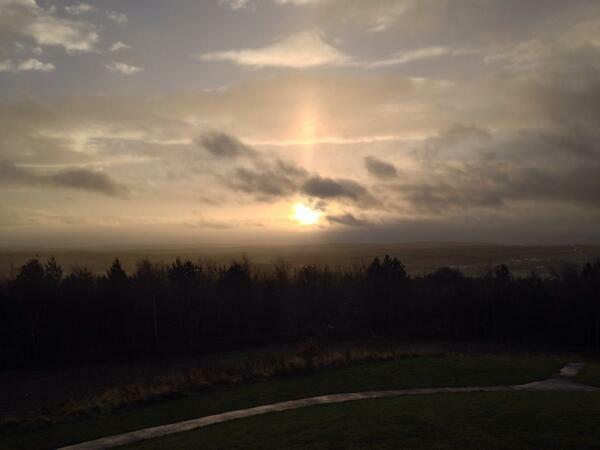 Our last experience of Scotland was a stop off at a service station just before we reached the border. From there we drove through the pretty hills around the edge of the Lake District, and made it to Manchester for a great night out with some of my friends from BBC Sport. Today we’re going to Liverpool, and we’ll sleep in Wrexham, Wales tonight. Tomorrow it’ll be Chester, then driving down to South Wales and a night out in Cardiff. The next day we’ll visit Bristol, Bath, Lacock and Oxford before returning to London. Please follow us on twitter: @sermoa and @findthepilgrim. Use the hashtag #motorhomeroadtrip to keep up with us! Wow, today was a very exciting day! 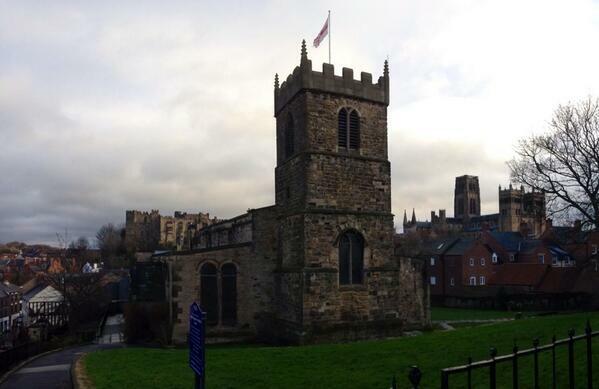 Our fist stop was Durham. 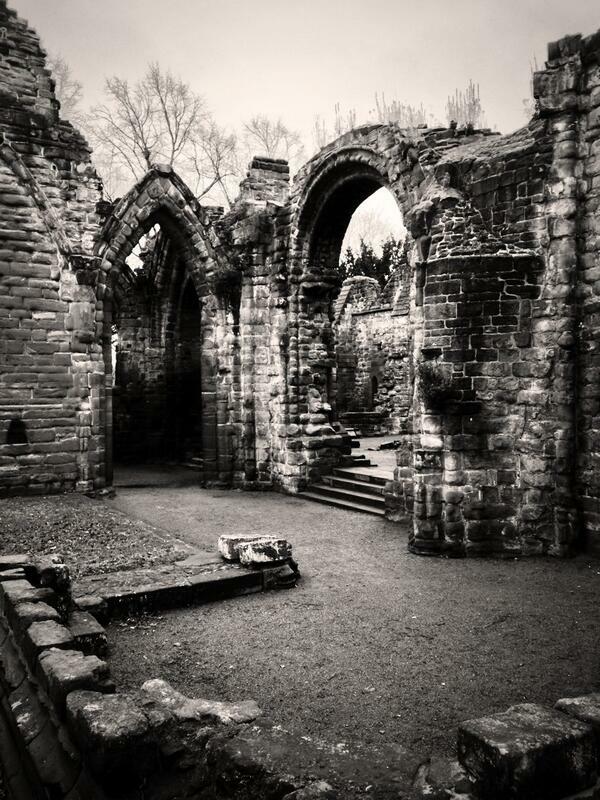 The main attraction was the cathedral, because of its use in the first two Harry Potter movies. 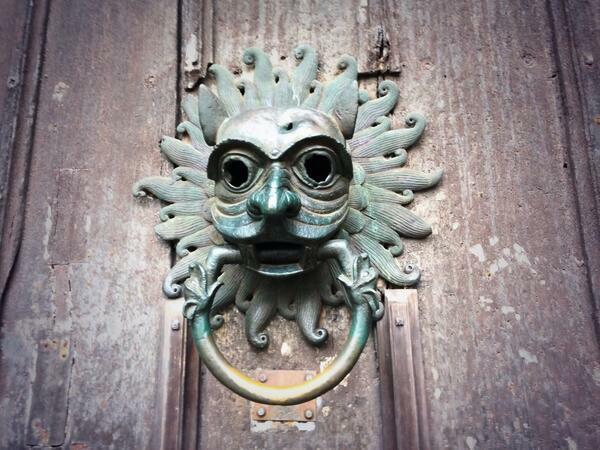 Before we went in i spied this very attractive knocker on the door. The courtyard was beautiful. Instantly recognisable. 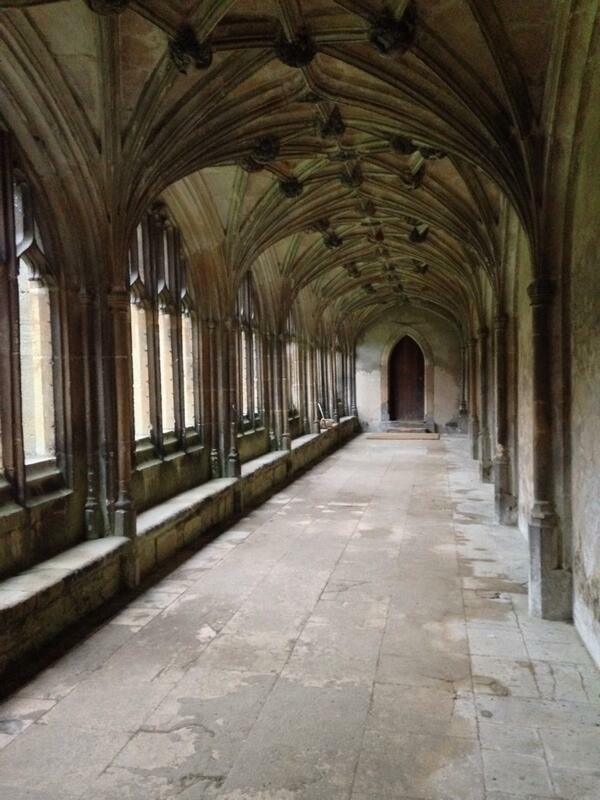 The corridors around the outside of the courtyard were also used extensively in the first two movies. Most of the cast have walked down here. 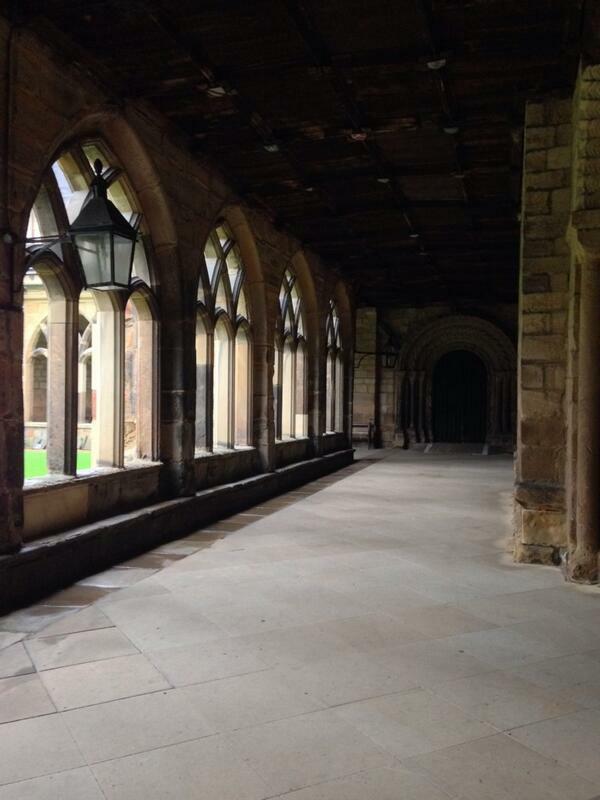 Professor McGonagall’s classroom is Chapter House, sadly closed to the public today but we got a peek through a window. 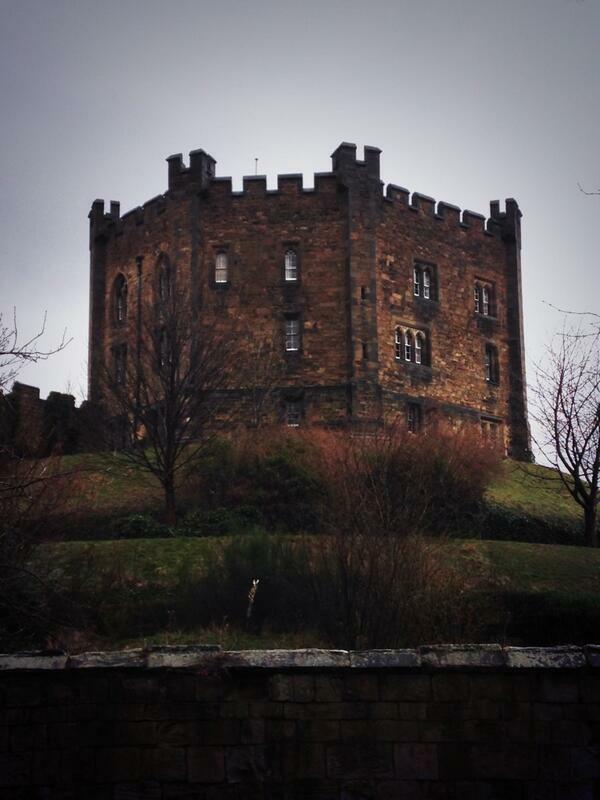 I also found the castle quite appealing. We journeyed on. 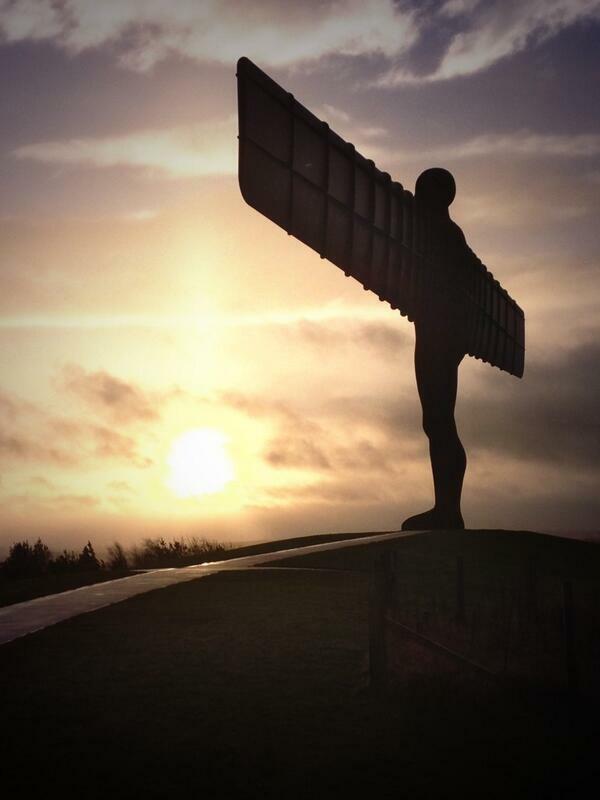 I had to take a detour at Gateshead to show Liam the stunning Angel Of The North sculpture by Antony Gormley. The Angel has a lovely view. 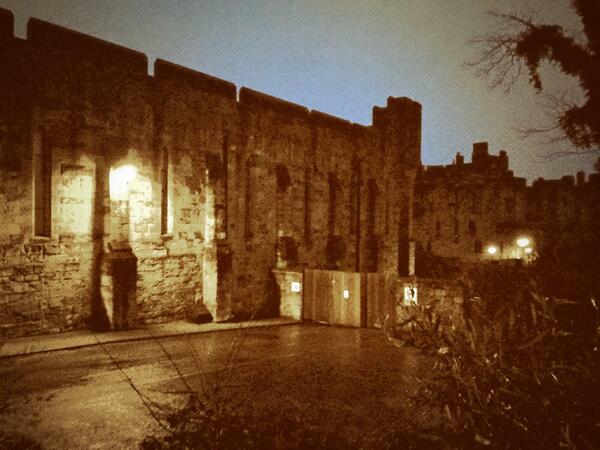 Our next stop was Alnwick Castle in Northumberland. 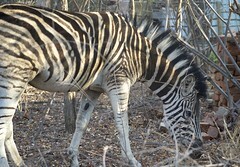 We knew it would be closed, and the light was fading fast by this point, but this is as close as we managed to get. It is another location used for the first two movies, particularly the flying lessons. Then we got a club mix on loud and traveled on up into Scotland. We cheered when we crossed the border! We made it to Edinburgh and have found a nice place to park for two nights. 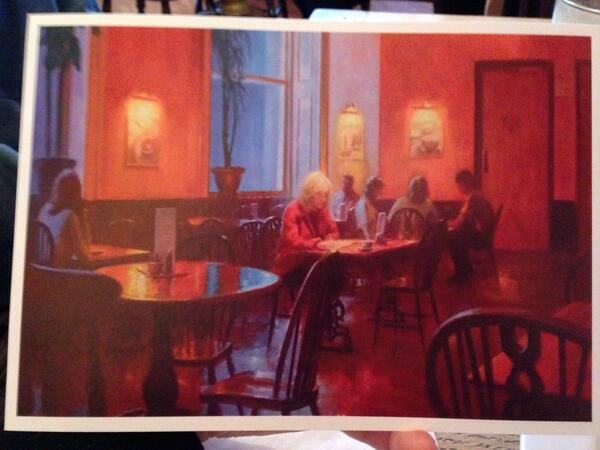 Tomorrow we’ll see all the best sights in Edinburgh, including the cafe where Jo began writing Harry Potter, and the hotel where the series was concluded. And we are massively looking forward to Hogmanay in Edinburgh! 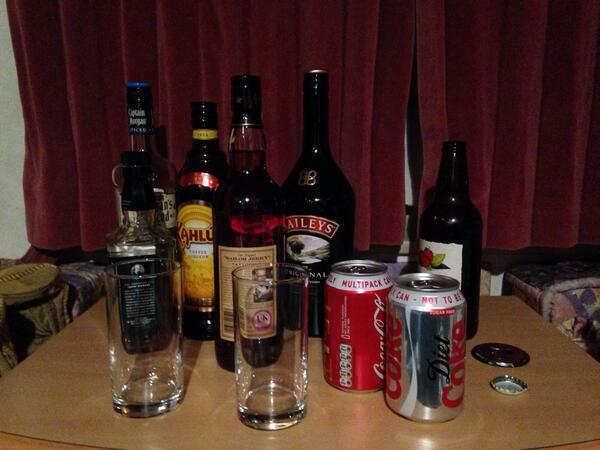 For tonight though, it’s time for a well deserved drink! We have a long way still to go next week: Glasgow, Manchester, Liverpool and down through Wales to Cardiff and Newport, then across to Bristol, Bath and Oxford before heading back to London. Please follow us on twitter: @sermoa and @findthepilgrim. Use the hashtag #motorhomeroadtrip to keep up with us! If we’re passing your way, tweet us and we might manage to meet up with you! Wow. Today was an epic motorhome adventure! Saw some amazing scenery, met a friend by surprise, got lost a few times, visited some historic Harry Potter landmarks! We have found quite a nice routine now. We wake up about 7am, have breakfast and a shower, hit the road by about 9am. Spend the day driving, exploring, taking photos. Find the campsite for the night, cook some dinner, then settle into an evening of drinking and watching Harry Potter movies! So this morning we saw more of Sherwood Forest .. more than intended, actually, thanks to the very limited 3G and GPS signals! We had to resort to the paper atlas to help find the way to York. 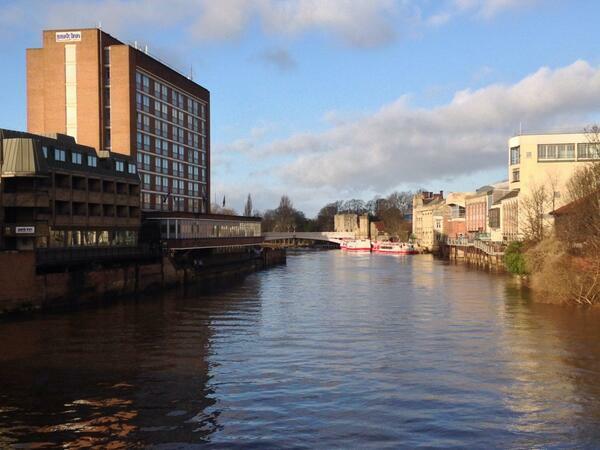 We took the Park & Ride in York and were soon admiring the delightful sights, such as the River Ouse. 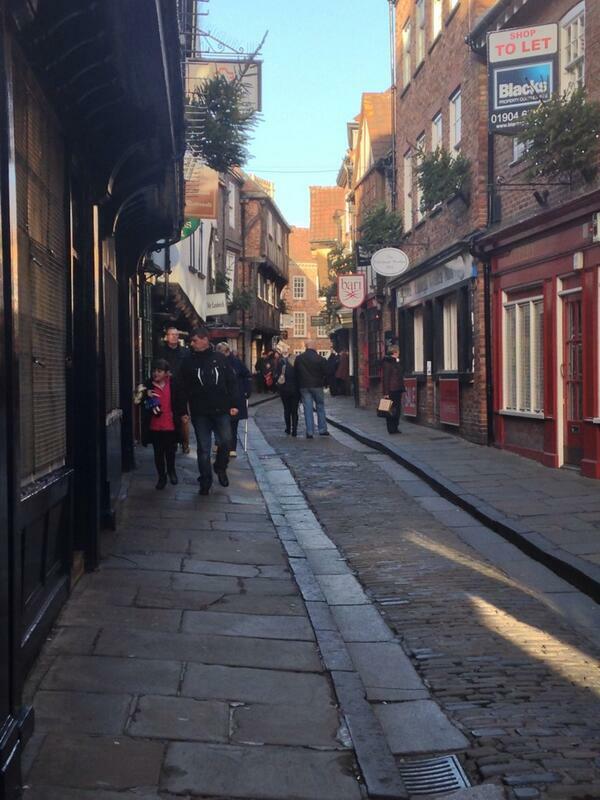 I was drawn towards The Shambles, and i wasn’t disappointed. 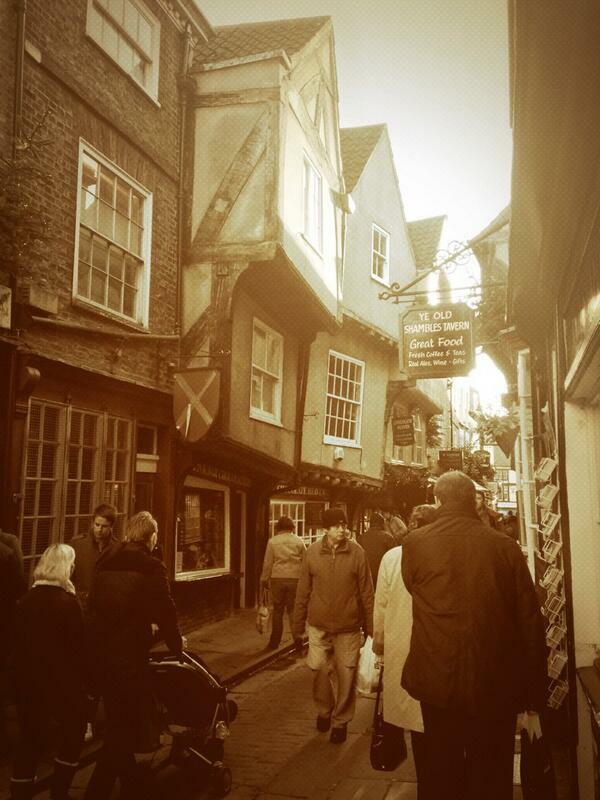 It reminded us strongly of Diagon Alley! I loved some of the crooked buildings in that street. For the first time, the “antique” filter turned out to be quite appropriate! 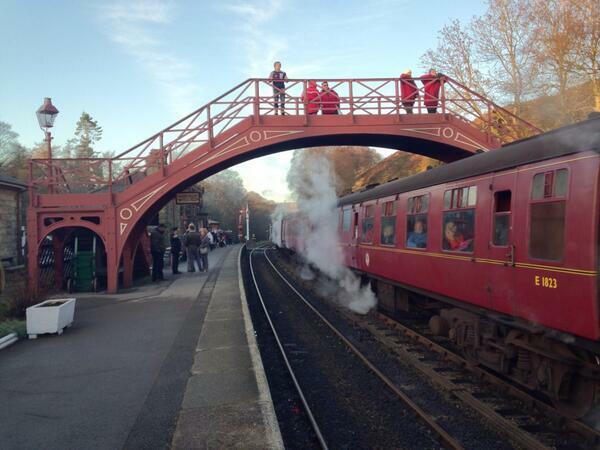 Our next stop was Goathland railway station. Liam asked me weeks ago if we could go there. I saw that it could be more-or-less on our route up north, so i said, “Yes, sure!” All i knew was that it was in the Yorkshire Moors and that i should probably fill up with fuel before we went there! I had a feeling the Yorkshire Moors would be quite good scenery, but even i found myself breathtaken by the miles and miles of stunning hills and moors. Thanks to Liam for taking this photo while i was too busy looking where i was going and trying not to fall off the edge of the cliffs! It took about an hour of driving through remote moorlands until we came to Goathland, a tiny village with a most beautiful train station. I’m so glad we went to Goathland, it was very good to get off the motorways and into the remote countryside, to see those views and visit that iconic station. 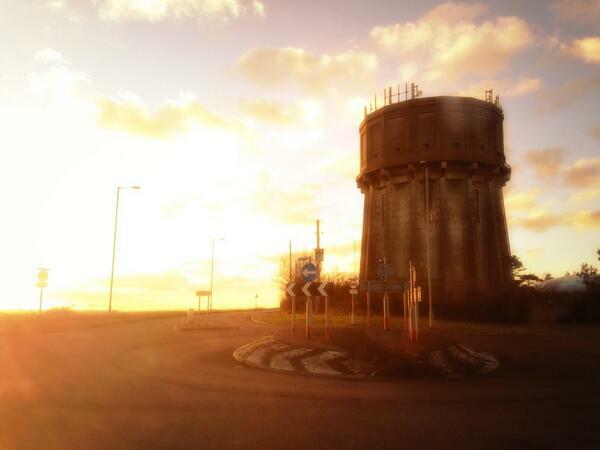 Tonight we made our way north, out of Yorkshire and into Teeside, somewhere near Middlesborough. This will make a very pleasant stop for the night, and tomorrow we’ll go on into Durham, up through Newcastle and up the north-east coast, continuing our journey towards Edinburgh. But for now, it is the time to relax. We know exactly how to do that! As i’ve said before, here is a map of all the places we intend to visit: Liam and aimee’s Motorhome Road Trip. 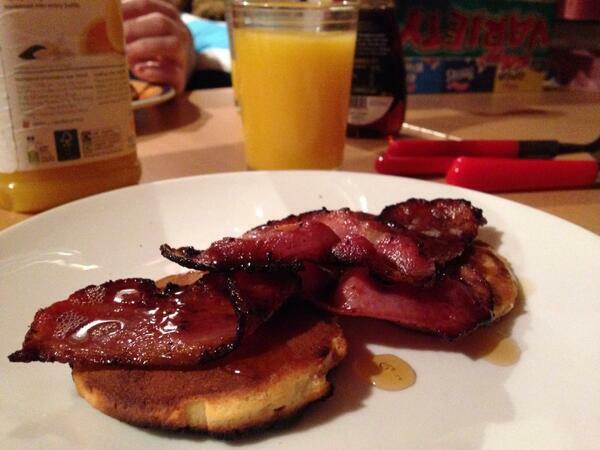 So we woke up this morning and had pancakes with bacon and maple syrup for breakfast. An excellent way to begin any day, but especially good for a day of adventures! 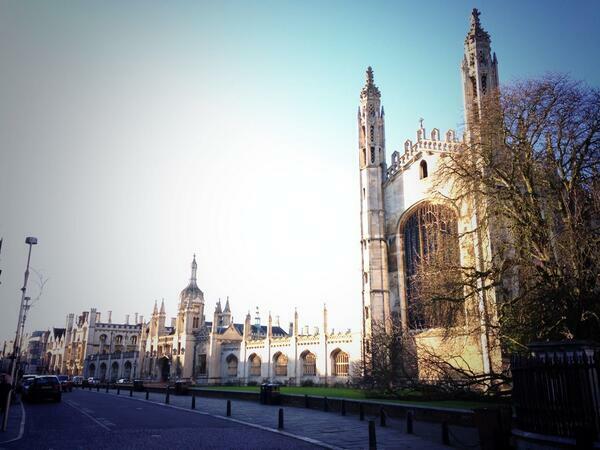 Cambridge has some interesting architecture. 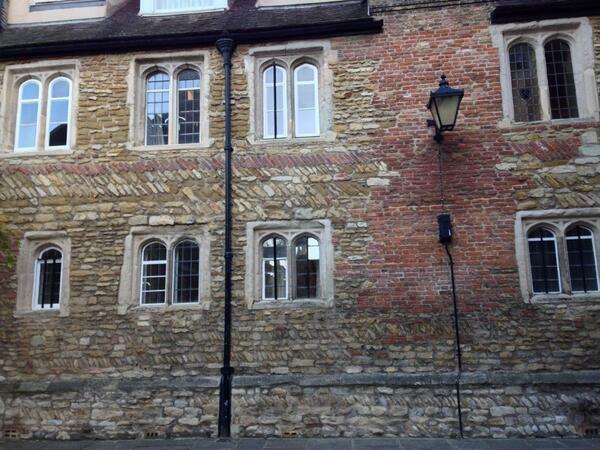 Look at the mashup of brickwork in this building! Our hour being up, we returned to Drifter and headed towards Peterborough. 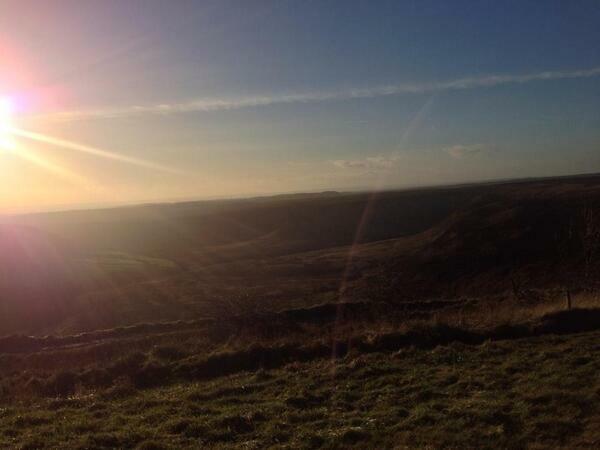 The scenery on the way was so beautiful, i just had to stop in a layby, climb up on my roof and take this photo! We spent a good deal of time in Peterborough library doing some family history research for Liam, which went well. 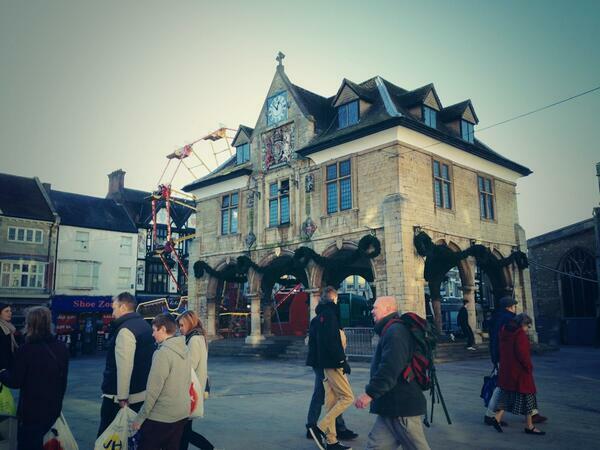 The centre of Peterborough still felt quite Christmassy and i loved the ferris wheel! We took an hour out to visit my grandparents who live near Peterborough, and then we journeyed on to Nottinghamshire. Tonight we are actually staying inside Sherwood Forest. I couldn’t believe us when Google maps directed us right into Clumber Park, with a gated entrance, looking completely dark inside! We got a bit lost in the thick forest, which was kinda spooky! But soon enough we found the Caravan Club site where we’ll stay the night. There is no 3G here so my magical internet box doesn’t work, but we’re just about coping on the Caravan Club wifi! Tomorrow we’ll travel through the Yorkshire moors, the highlight being Goathland railway station, which is the station used for Hogsmeade in the Harry Potter movies. From there we’re heading up towards Durham. As i said yesterday, here is a map of all the places we intend to visit: Liam and aimee’s Motorhome Road Trip. If you’re along our route and would like to meet, tweet us and we’ll see if we can schedule in a stop! Well hello to you dear readers! 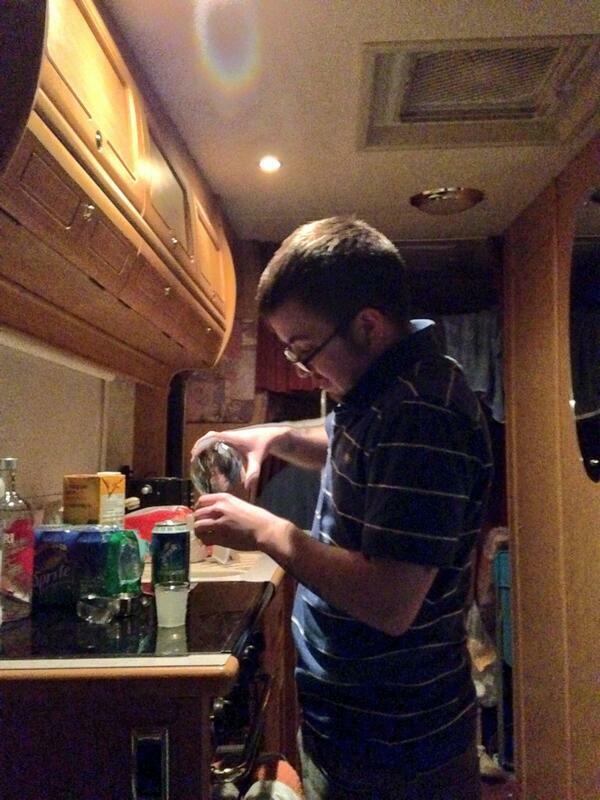 As you probably know, one of the most unusual things about me is that i live in a motorhome. I find it a great joy to keep moving, never settle somewhere, rock up anywhere and have everything i need with me in my van. It’s great. Here’s my home on a typical weekend away travelling ..
I’ve always wanted to do a road trip around the UK, and as my friend Liam is currently visiting me from Chicago, this is the perfect opportunity. Liam wanted to be in Edinburgh for New Year, and i know you can drive to Edinburgh in a day .. but i just thought, what if we took our time, visited lots of places along the way? 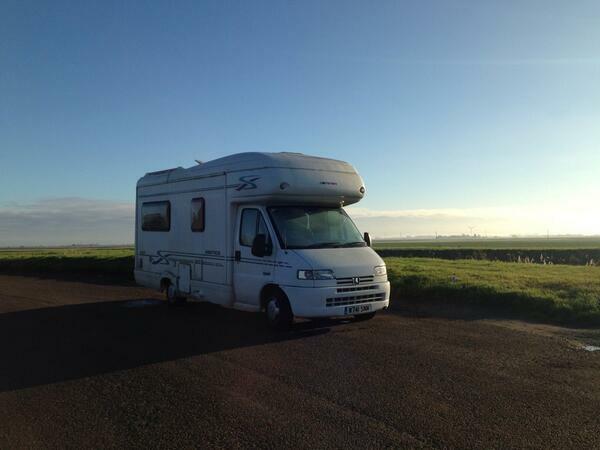 I booked up several campsites and we’re taking two weeks to tour England, Scotland and Wales. 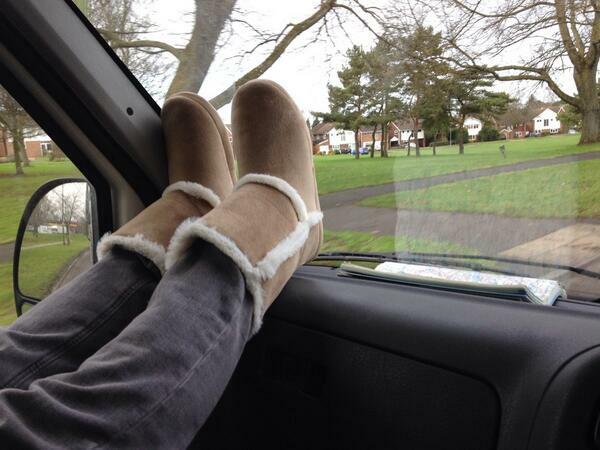 I picked up Liam from Heathrow on Christmas Eve. 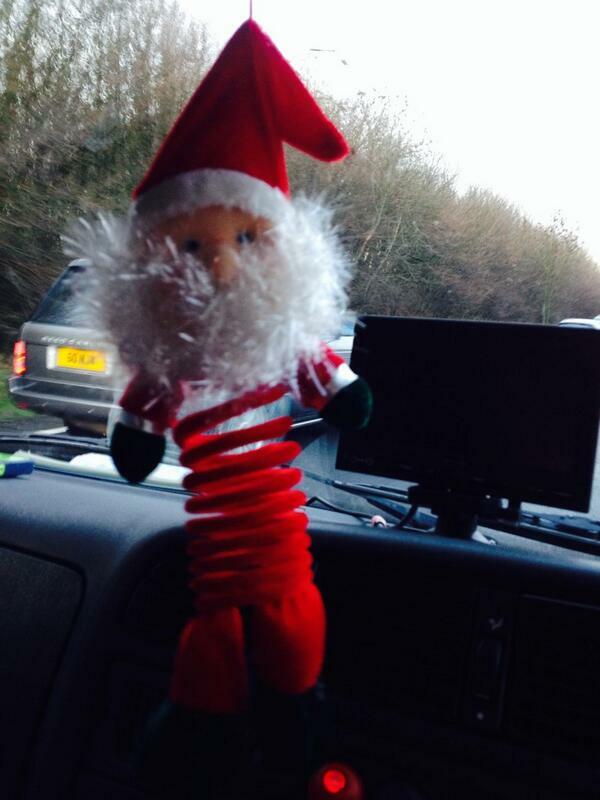 Our first trip was to Kent, with our mascot, Bouncy Santa hanging from the rear view mirror! 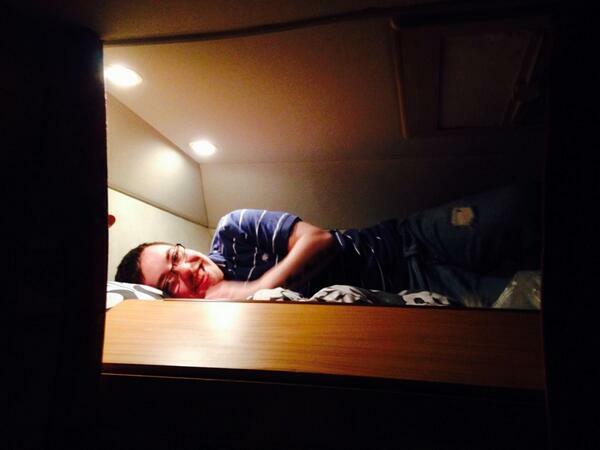 The first night, Liam had pretty bad jetlag, and quickly found out that my bed is a nice cosy place to sleep! We spent Christmas Day with my mum in Kent, Boxing day with my dad in Essex, and then today our road trip began for real. 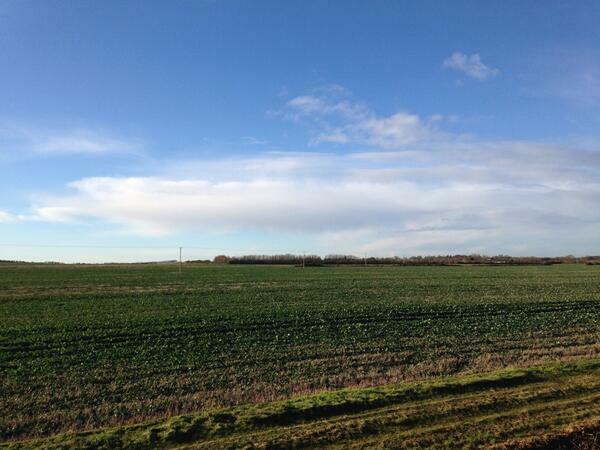 We journeyed from Essex through Hertfordshire, to Cambridgeshire, land of flat farmlands. We saw this pretty amazing water cleaning tower along the way. 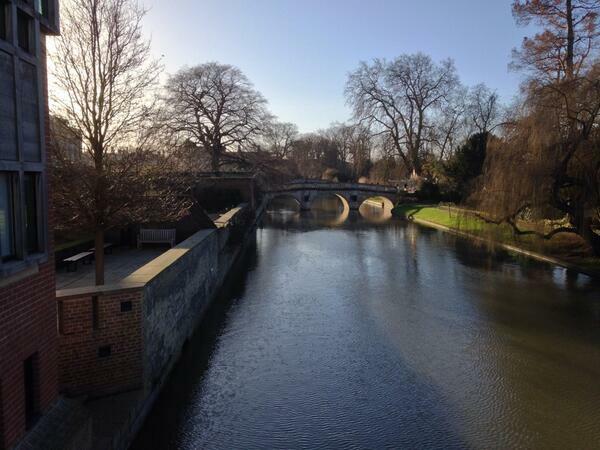 Tomorrow we will visit Cambridge and Peterborough, as we travel on to Nottinghamshire. 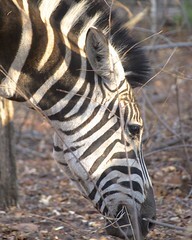 I’m hoping we’ll have some time to stop and take some great photographs. 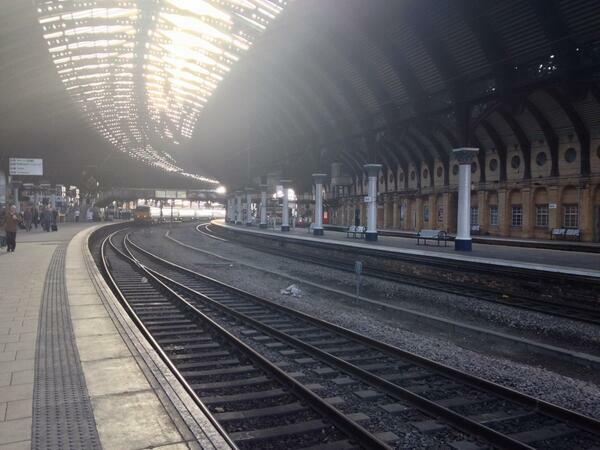 As we’re both Harry Potter fans, we’ll visit some of the film locations along the journey. 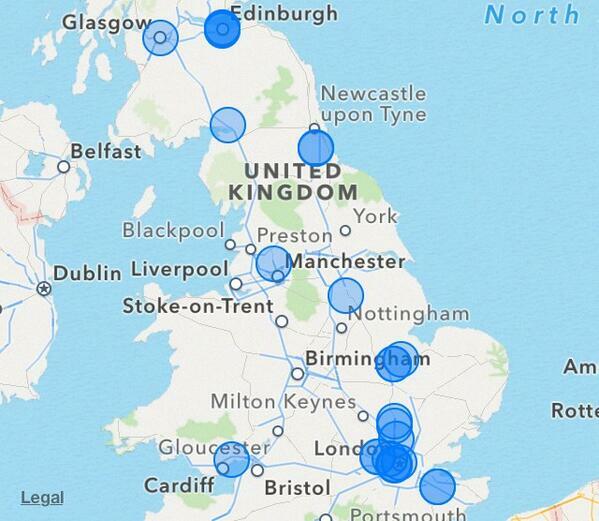 Here’s a map of the places we intend to visit: Liam and aimee’s Motorhome Road Trip. A GTD tip: When you’re sorting things at home and you come across something that should be in a different room, resist the urge to take it there straight away. That disrupts your flow. Instead put it in a pile of things to take to another room, and take them there later. Perhaps each room should have an inbox in case you know that it needs to be in that room but you haven’t decided exactly where yet. Just remember to clear the inboxes as soon as possible! I have spent the evening wading through piles of documentation and putting it into my new GTD alphabetical filing system. It feels good to have one place for all reference material. I started off analysing everything, putting it into date order, deciding what to throw away, but quickly decided i couldn’t manage all that. For the first iteration i have simply been putting things into folders. 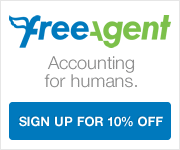 I’ve chosen SimpleGTD.com as my preferred online GTD system. It’s really easy to enter actions and move them around and assign them to projects if you want to, but you don’t have to. Nicely AJAX-ified to make things faster. For times when i’m offline i have a little notebook to act as an inbox for thoughts until they can go in the online system. It’s pretty cool to see how the online and offline can integrate. My sweet husband placed a £5 off Boots No 7 voucher in my inbox today. I created an action “Use No 7 voucher” under the context “Winchester” and the project “Actionable”. In my physical filing system i made a folder called “Actionable” into which i placed the voucher. So when i’m next going into town i can look under the context and remember where to find the voucher! Well, that’s the idea! Let’s hope it works! I’ve always liked the idea of being super organised … just never really known how to do it. I really think GTD might work for me. Reading the book, “Getting Things Done” by David Allen, has helped me to understand why “Clean kitchen cupboards” has been overdue on MyChores for over a year. The reason is: it’s not a task; it’s a project! As a project, it cannot all be done in one go. You have to get everything out of the cupboard you want to clean, and leave it out preferably overnight to ensure the cupboard dries properly before you put things back in again. There isn’t space to have everything out of the cupboards at the same time – so you have to do just one or two at a time. With this in mind i got some sticky notes and stuck them to the cupboards which most pressingly need cleaning! We then set about to give each cupboard a name: “pots and pans cupboard”, “cups and glasses cupboard”, “crockery cupboard”, “dry ingredients cupboard” … it was quite fun analysing the contents of each cupboard and wondering how and why we had chosen each for its purpose. We deleted the overdue task from MyChores and created 11 new tasks in its place. 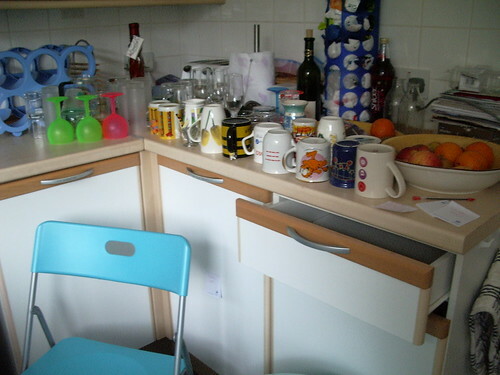 We then cleaned two of the cupboards together last week. We had planned to do two cupboards a day and get them all clean within the week. Unfortunately we’ve had such a busy week, it just didn’t happen. So now i have rescheduled them to do two a week and get them finished by the end of March. This also means that when the tasks recur on a 6-monthly basis, it will never feel like such a big job again. I hope this post might encourage other people facing daunting tasks, to break them down into a smaller manageable size, and plan to do them at a schedule that you can reasonably manage.